Fast and Opportunity Charging.. Are The Promised Benefits Too Good To Be True? | Sackett Systems Inc.
Fast and Opportunity Charging.. Are The Promised Benefits Too Good To Be True? No alternative power concept (to conventional changing and charging of batteries) has impacted the battery exchange industry more severely than the onset of Fast and Opportunity Charging. By my rough estimates, it has supplanted anywhere from 35-50% of the potential market for battery changing equipment. As is common with any new technology, the concept of Fast / Opportunity charging was applied often, and sometimes in inappropriate situations. In one recent situation, the Distribution Centers of a national retailer discovered that increases in operational throughput and a resulting increase operating intensity, caused their Fast / Opportunity charge approach to fall short of supplying the power required by the operation. 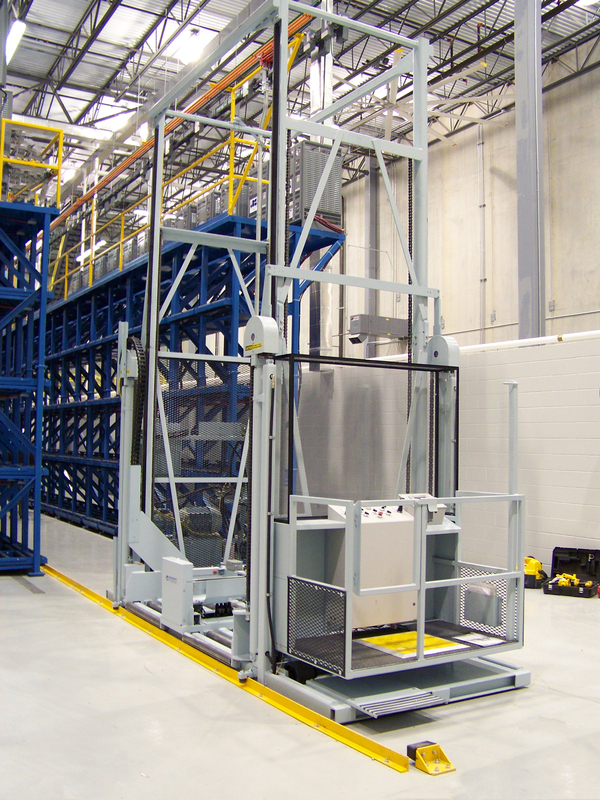 Battery maintenance and care was compromised as the DC strove to meet increasing demands for fork truck utilization. Bottom line was that they couldn’t supply enough power to their trucks to meet their growing daily operational requirements. They are currently planning to reinstall a conventional battery exchange system to accommodate the increased power demand. Another Distribution Center struggled with operator discipline in its Opportunity Charge process. Its situation required it to utilize a high percentage of temporary fork truck operators at peak seasons. It proved nearly impossible to get these temporary workers to consistently plug in the batteries when the truck had down time. The Distribution Center manager was quoted “we have 40 rental fork trucks with 40 rental truck drivers during the holiday build-up and we cannot get the rental drivers to consistently plug the batteries in”. This Distribution Center is also planning to return to conventional battery exchange. Below are some of the observations I have made regarding Fast and Opportunity Charging as applied to Distribution Centers in North America. Increased DC throughput has invalidated the concept for many companies. And, having just got the concept approved and justified, DC managers are in a quandary about how to supply the additionally required power to their operations. Numerous companies are returning to conventional change and charge battery operations as their DC throughput has risen. Many DC managers have “bit the bullet” and returned to conventional battery changing. Many others have introduced a “hybrid” system – changing some batteries while charging others opportunistically. Operator discipline has proven to be a significant barrier to its effective implementation. This may in fact be the most significant inhibitor of the Fast / Opportunity charge concept. It is the most frequently cited reason for the concept to falter. They find they just cannot get the fork lift operators to plug them in. Battery life (measured either by time or cycles) is compromised significantly, adding to the cost of the concept. Battery lives are reported to drop by 2 years or 40% even with adequate battery maintenance. Maintenance of batteries is compromised, further lessening battery life. With compromised maintenance, they are left with up to 60% lower life and an invalidated warranty. Batteries and chargers are specialized for this application, and significantly more expensive. 25% premiums for batteries and up to 200% premiums for chargers are reported. The most expensive and most critical warehouse asset – the fork lift truck – is being underutilized. If the throughput demands of the DC require it, keeping trucks working 95% of the time is optimal and possible with conventional battery exchange and charge. There remain numerous Distribution Center operations with intermittent load requirements that efficiently utilize Fast or Opportunity Charging. Fork Truck idle time still needs to be in excess of 25-50% for the concept to be viable without compromising battery life and health. These concepts have just not proven to be as universally applicable as was once hoped. ← Hydrogen Fuel Cells For Motive Power – Is The Tide Turning? Hydrogen Fuel Cells For Motive Power – Is The Tide Turning? SACKETT SYSTEMS, INC. is a design, engineering, and manufacturing company of Battery Exchange Equipment and Material Handling Equipment. In business since 1897, Sackett Systems, Inc is a pioneer in the battery exchange equipment, developing the first lifting beam, transfer cart, and Hydra-Handler. Our customer lists include world class companies in the automotive, retail, distribution, grocery, food processing industries. Ruggedly built to efficiently handle industrial lift truck batteries, our battery exchange equipment increases our customers’ productivity by leading the industry in durability, reliability, and serviceability.